It was as though life was preparing me for Japan. When I was a High School sophomore and our History teacher assigned everyone in class a country for a report, I was given Japan. When I was a college sophomore, I was assigned Japan in both our World Cinema and Asian History classes. When my sister became an OFW (overseas Filipino worker), she moved to Tokyo and has since sent us balikbayan boxes filled with Japanese products from instant ramen to a bokken (wooden training sword). Still, Japan was never in my bucket list. Sure, I grew up gluing my eyes to countless anime series, but I wasn’t really drawn to the country itself. Back then, I wasn’t a fan of Japanese food, I couldn’t care less about its attractions, and I never saw myself being there. Perhaps because I had it carved on my defeatist, unambitious young brain that I would never set foot in it. In a sea of possible destinations, Japan was THE expensive one and their immigration policy at the time was the strictest. It was unrealistic, impractical, impossible. So why bother? 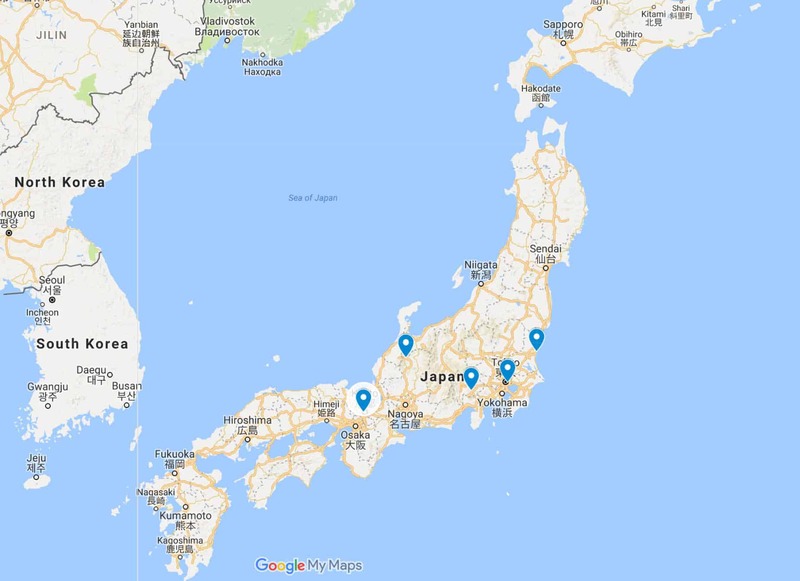 Between Vins (my co-blogger) and I, we’ve been to Japan over 20 times, spanning over 20 prefectures including Tokyo, Osaka, Kyoto, Sapporo, Okinawa, Hiroshima, Fukuoka, and Tottori. And I don’t think we’re done yet. We’re looking forward to more journeys! A lot has changed over the years. Cost of airfare has gone down drastically and it’s relatively easy to get a visa these days. Japan is no longer an unattainable dream but a reachable goal for many, even those with not-so-deep pockets. 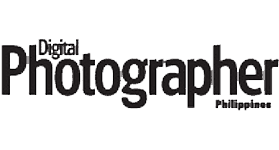 If you have a lot of time, you might be considering visiting multiple destinations. Here’s how we usually plan ours. 1. Determine your budget and travel duration. 3. List down all your must-visits. 6. 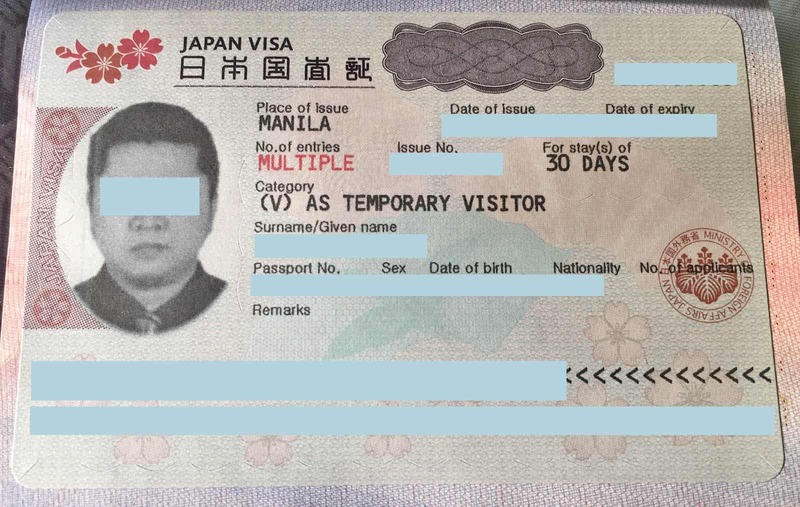 Get a Japan visa. 7. 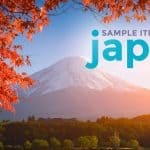 Book Flights, Hotels, and JR Pass. 7. Allocate budget for food, tours, and other transportation modes. How long will you be backpacking in Japan? Note that the usual single-entry visa issued to Filipinos allows only 15 days maximum. You can request for a longer stay but there is NO GUARANTEE it will happen. If you’re a first-timer, it’s safe to assume you have up to 15 days. 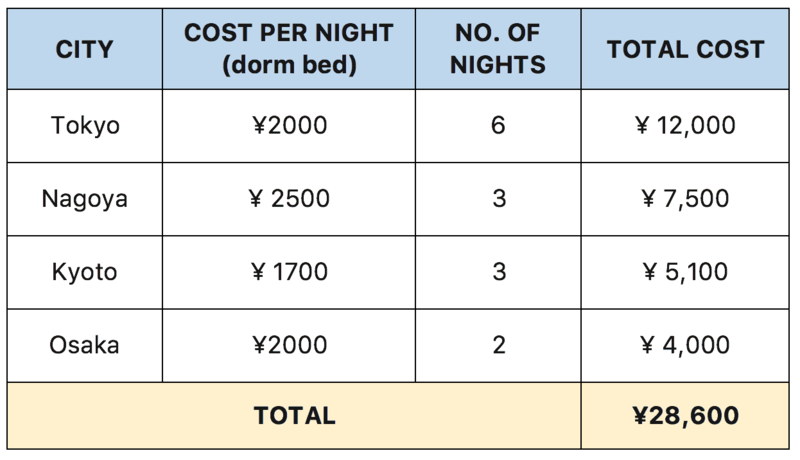 Aside from the visa, your budget will also dictate how long you can stay in Japan. 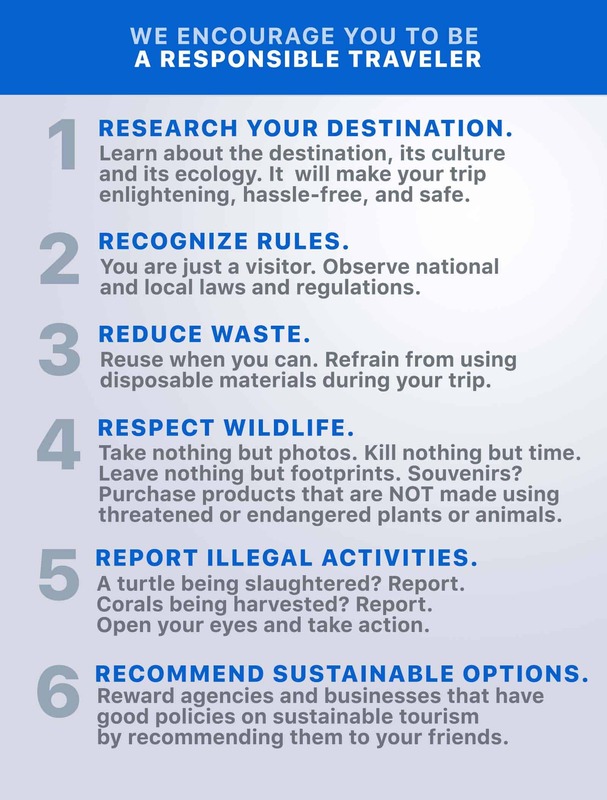 How much are you willing to spend on this trip? Let’s assume that you have USD1400 (P70,000 or ¥156,000) for this trip and that you have 15 days. Subtract ¥26,000 (P12,000) for the airfare. The truth is, you can find much cheaper tickets. Last year, I spent P12,000 on a roundtrip Tokyo ticket and plenty of baggage allowance, but tickets to Nagoya and Osaka (Kansai) tend to be cheaper so it can still go lower. You can even find round trip fares for only P6000 at airlines’ seat sales. But for this post, let’s assume it costs P12,000. Do you have a specific event that you want to see? Make sure you take it into consideration when choosing your travel dates. Are you after cherry blossoms? Go in the first week of April. Want to experience Sapporo Snow Festival? Early February. Do you want to see the Emperor? Make sure you’re in Tokyo on December 23 or January 2. Will you go skiing? Most ski resorts open in December and close in early April. Consider the season, too! Japan is beautiful year-round, but each season has a distinct character. Spring (March-May) is the best time to visit. It is crowded, but the weather is often pleasant and comfortable. And if your timing is right, CHERRY BLOSSOMS! In Tokyo, the first bloom usually happens in March Week 3-4, full bloom at the end of March, and the last fall within Week 1 of April. Emphasis on usually. These days, you can never be too sure. 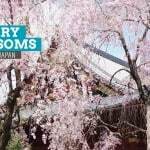 Make sure you check Cherry Blossoms forecast before you book your flight. The downside: it’s peak season so expect fares and hotels to be much pricier than usual. Summer (June-August) is hot and humid and crowded. I don’t really recommend it unless you want to see or participate in festivals, most of which happen in summer. Autumn (September-October) is great, too. Not too cold, not too hot. I find the autumn colors to be a nice treat. Flights and hotels are cheaper. Most attractions are not as crowded. Shopping districts go on NEW YEAR SALE (January Week 1), offering amazing deals. The Emperor of Japan comes out to the balcony of the Imperial Palace and addresses the crowd only twice a year, and both dates are in winter: December 23 (his birthday) and January 2 (for the New Year greeting). Are there specific attractions that you want to see? Studio Ghibli and Disneyland in Tokyo, Hitachi Seaside Park in Ibaraki, Mt. 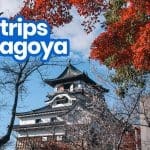 Fuji, Ramen Museum in Yokohama, Dotonbori in Osaka, Arashiyama in Kyoto, Shirakawa-gō Historic Village? List them all down. Note that these are places that you MUST visit. Meaning, these are the reasons why you’re flying to Japan in the first place. Don’t include places that you can do without. After listing down your target attractions, it’s time to build your itinerary. Get a map and mark your must-visits. If we use the example above, mark Tokyo, Lake Kawaguchi, Ibaraki, and Kyoto. Figure out where it makes sense to spend your nights. For example, Hitachi Seaside Park can be easily accessed from Tokyo. Is that the only place you wanna see in Ibaraki? If so, maybe it’s better to just visit that on a day trip. Same with Lake Kawaguchi. If you decide to just go on a day tour of Lake Kawaguchi, Hitachi Seaside Park, your must-visit cities are now down to two: Tokyo and Kyoto. Now look at the areas surrounding these marked places and the areas in between. Are there any other destinations that would be nice if you could visit? Osaka is within close proximity to Kyoto. Nagoya lies in between. Maybe these places merit a visit too? Also, Shirakawa-go is best accessed by train via Nagoya! Decide how many days you want to stay in each city. Personally, I find 4 days per stop the minimum for the trip to still be comfortable. But that’s just me. I know travelers who stay for only 2-3 days per stop. For this post, let’s place the minimum at 3. Hotel rooms are generally expensive in Japan, which is why it gave birth to capsule rooms. But there are also hostel and AirBnB options for those traveling on a budget. Are you traveling alone or with a group? This will affect the cost of your accommodations considerably. If you’re traveling alone and you’re concerned about the budget, consider booking dorm beds. It’s waaay cheaper than booking a private room. (Even single rooms can be pricey.) It’s also a great way to meet other travelers and make new friends. If you’re a pair, you may consider booking two dorm beds or a private room, depends on the situation. If you’re a duo wanting to meet people, the dorm is still a good choice. If you’re a couple on a romantic getaway or a honeymoon, my god, please get a private room (haha!). Note, though, that in many hostels, the bedrooms may be private but the toilet and bath are sometimes shared. Check the arrangement before booking. If you’re a group of three, you may find Triple Rooms. You may also check their policy on extra person on Double/Twin rooms. It’s a great way to save! Since we’re in the budgeting stage, DON’T BOOK YET. Just find out the costs! A good way to do it is to visit Agoda, enter the city, and check if there’s something that interests you. You can also sort it by PRICE. Here are the lowest rates that we found in the cities we’re using as example. That’s PhP 12,800 (USD 260) for the entire 14 nights. If you want to save more, you can replace Toei Movie Park (which costs Y2200) with a cheaper or free attraction. 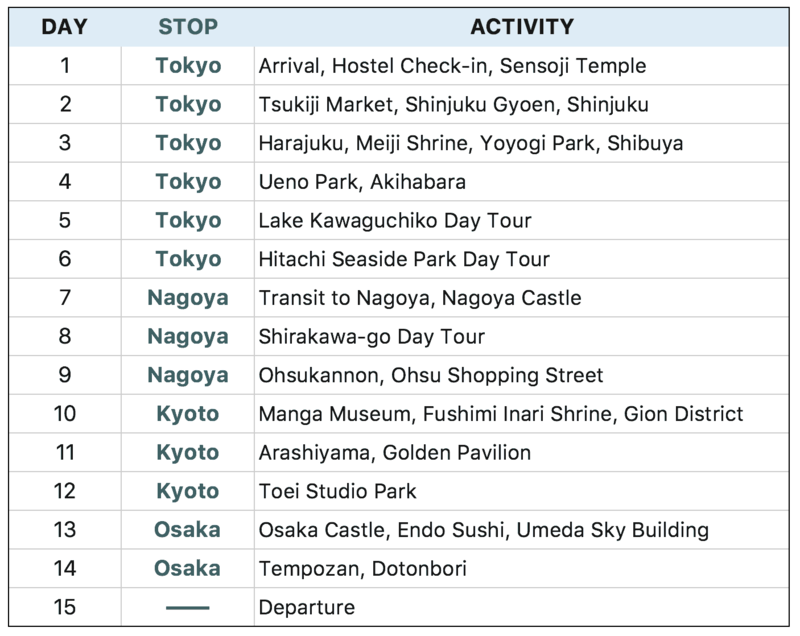 We will be creating a separate post featuring more sample detailed itineraries. Watch out for that. We two separate posts dedicated to the whole visa process! Once your visa is approved, book the flights and hotels that you had eyed! As for the JR Pass, let me explain it first. More formally known as Japan Rain Pass, it allows the holder unlimited use of the JR long-distance train system across Japan. If you have it, you won’t need to pay for individual ticket per journey, which can mean BIG SAVINGS, supposedly. It is offered to foreign tourists only and is not available for Japan residents. There are two types of JR Passes: ordinary and green car (first class).  And they are available in different validity durations: 7 days, 14 days, and 21 days. These days are consecutive and NOT flexible! Children aged 6-11 enjoy 50% discount. Pretty steep, huh? But once you see the usual train fares and seat fees, looking at these numbers will feel better. Did I just say “seat fees”? Yes, I did. Most long-distance trains in Japan charge for seats separately, sometimes even the unreserved ones. But if you have a JR Pass, you can make seat reservations for free! Sounds good! Does that mean you need to purchase a JR Pass? Not so fast! There are instances when a JR Pass isn’t really necessary. If your trip is shorter than 7 days or if your itinerary is contained mostly within one or two cities. For example, if the only long distance journey you’re gonna take is Tokyo to Osaka, there may be no need for it because flights and buses are much cheaper compared to the JR Pass. When does it make sense to buy a JR Pass? When your trip calls for a lot of long-distance train rides. But the JR Pass can only be used for JR Lines, and although it is a pretty extensive train system, it does not cover ALL of Japan. For more info, read: Is the JR Pass Worth It? 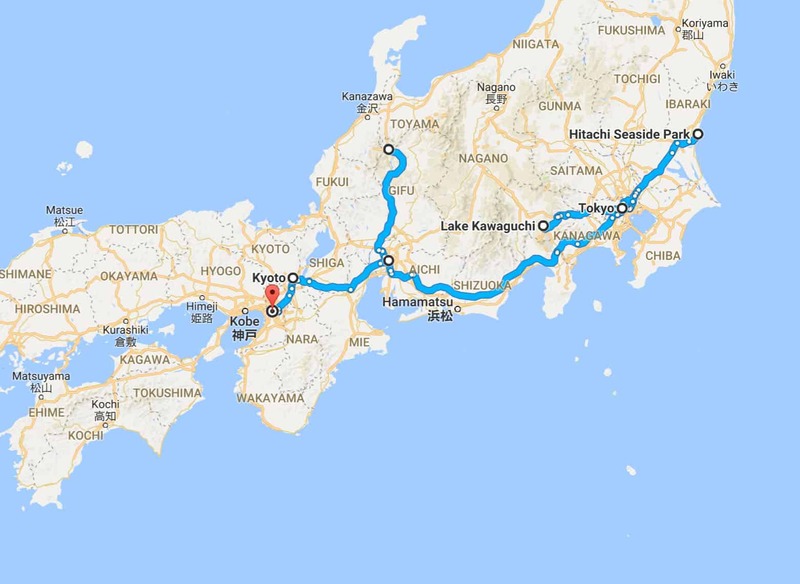 In our example — 15 days in Tokyo, Nagoya, Kyoto, Osaka — getting a JR Pass is a wise choice because it requires several long distance train rides: Tokyo to Nagoya, Nagoya to Kyoto, Nagoya to Takayama (Shirakawa-go), Tokyo to Ibaraki, and Tokyo to Kawaguchi (Kawaguchiko). If you decide to buy, Klook offers the cheapest JR Passes available. 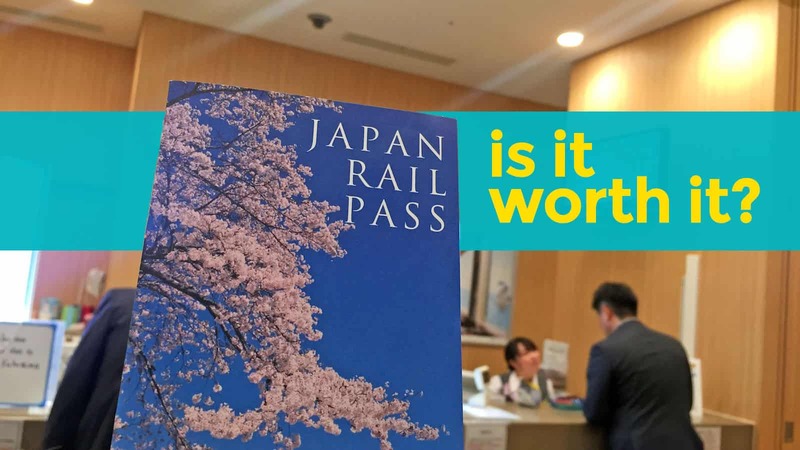 But should you buy the 14-day pass given that you’ll be in Japan for 15 days? Not necessarily. 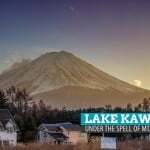 In our example, the first long distance trip won’t happen until Day 5 when you’re bound for Lake Kawaguchiko. The days before that, the JR Pass is of no use. Start counting from Day 5 and your pass will expire in Kyoto. By then, there won’t be any pricey ride. Kyoto to Osaka ticket is cheap so it’s not really an issue. Set aside ¥1000 per day for transpo. That’s ¥15,000 or P6700. Not all modes of transportation are covered by the JR Pass. In Tokyo alone, your pass won’t work for the subway lines of Toei and Metro. Buses are often not covered, either. That’s the average. There will be days when you will be spending much more and other days much less. The Japanese public transportation system is so clean, comfortable, and freakishly reliable that you won’t need to book or join a tour. You can easily pull a DIY in many destinations. 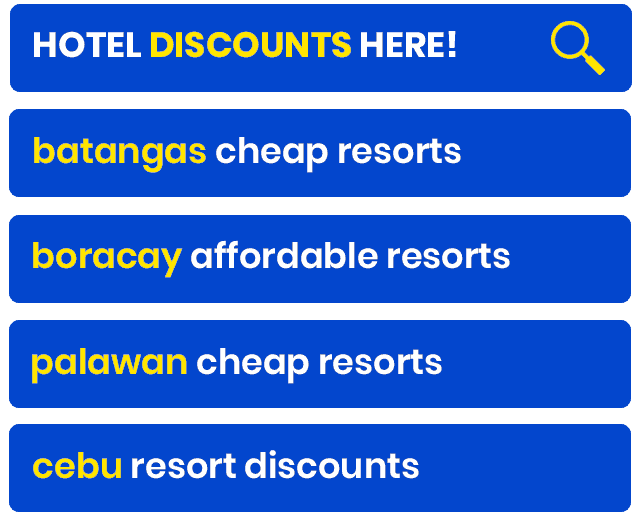 You just need to spend on the transpo and entrance fees, but heck most attractions can also be enjoyed free-of-charge! That’s a total of ¥6,210 (P2,850). But for good measure, let’s round it off to P3000. 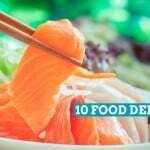 But the biggest chunk of your budget will probably be spent on food. Keep daily FOOD expenses below ¥2000 per day. First, choose a hostel that serves breakfast. If you can’t find one on your chosen dates, hit the supermarket and buy food that you can easily munch on for breakfast. For lunch, unless you’re in a theme park, you’ll often find a good foodie place within reasonable price range. You’ll find soba or ramen bar serving an unforgettable bowl for ¥500 to ¥1000, gyoza bars offering sets of 6 for only ¥200-¥350, or some random kerbside restaurant. And if you really can’t find one, only then do I allow convenience stores to come to the rescue. For dinner, this is when you can spend whatever is left of your daily food and transpo allowance. If you decide to splurge one evening, balance it out by going for cheap options the next day. This is much easier to do if you’re not alone! Japanese servings are HUUUGE and if you want to try at least 2 dishes per meal, at least you have someone to split the food and the bill with. Again, that’s ¥2000 per day. Total of ¥30,000 or P13,500. This rule has kept us afloat during our stay while still enjoying the best of what the city has to offer. Using our example, here’s how much the whole 15-day journey needs to become reality. It still is a big amount, but considering that Japan is an expensive country, that the trip lasts 15 days, and that it already includes airfare, it’s pretty good. You can still bring down the cost if you’re able to snag a promo fare and if you don’t eat out every day. Also, notice that each day is filled with activities. To be honest, it’s a pretty tiring itinerary. Having 2-3 rest days will not only reduce the cost but also make the whole trip more comfortable. 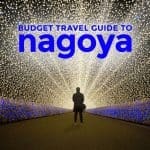 Most travelers I know would usually skip Nagoya and just go straight to Kyoto from Tokyo. Again, this post isn’t supposed to be prescriptive. 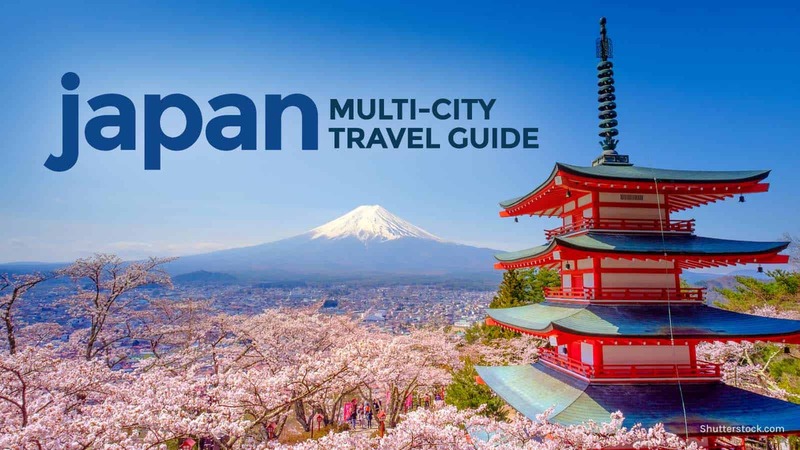 It’s just a guide to show you how I planned my multi-city tours across Japan. At the end of the day, it’s up to you. hello, first time to go to Japan. Osaka is our base (Mnl-Osaka/Osaka-Mnl) – June 19 – 24, 2017. Do you recommend we get JRPASS? Thank you. 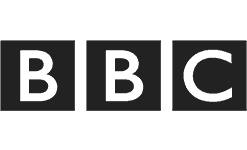 BTW, you have a very informative blog – Again.Thank you. 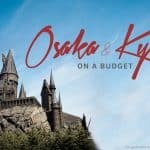 Hello me& husband wanted to go to Osaka ,Japan 4days & 3nights it’s our first time and we don’t know how to go about it . 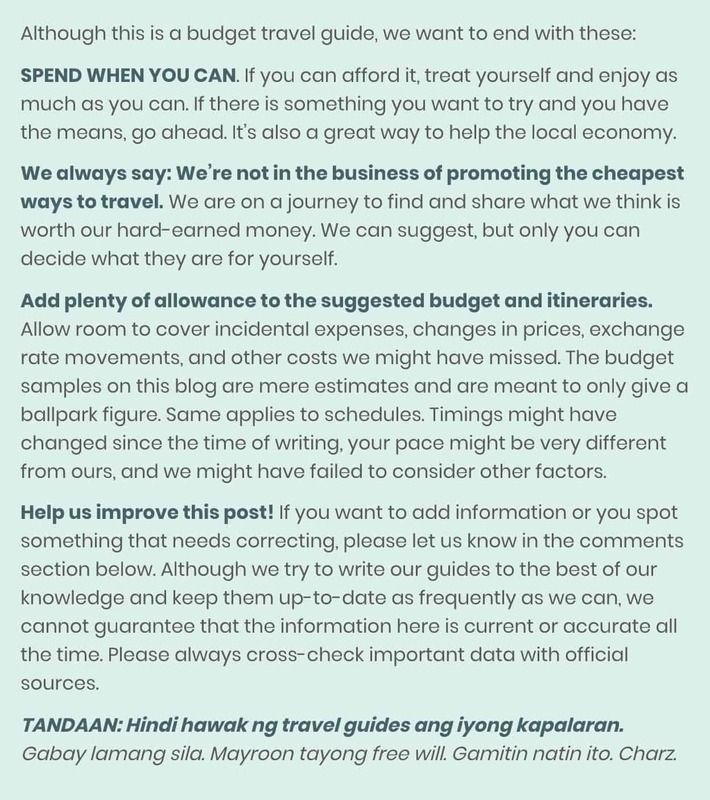 We tried getting quotes but it’s so expensive it’s like going on a mediterranean cruise and even expensive from our round trip ticket from Las Vegas to Manila !Please advice on the airlines, hotel that are reasonable and most of all I wanted to go where shopping is,NAMBA ? The hotels that’s reasonable for 4days& 3nights only , the food we could do soups &sushi or anything we could grab in grocery stores . Thank you if you can help ! We plan to go in Isaka Japan May 28,2018 . Hello! Just want to ask if you’ve tried using PASMO. Is it more economical than the JR pass? Thank you! Hi tetski. Yep, I’ve tried PASMO and JR PASS. PASMO and JR PASS are not in the same category. PASMO is a stored-value card covering all lines. It’s different from JR Pass, which is an unlimited pass for JR Lines. In a nutshell, JR PASS only makes sense for me for long-distance travel. PASMO/SUICA or any other IC card for short distance. Hi Nichole, best to just buy tickets once you’re there to be flexible. Good day! If maluwag po sa time nyo pwede po ba magpa advice sa plan namin mag trip sa japan..ang gusto lang po ng family is maka experience ng snow ( and im thinking sapporo po yata ang sure na meron)… And then tokyo na po (para sa disneyland and disneysea) pa suggest po pano magandang plano at kung ano pa po itinerary magandang idagdag..by month of december po. At paano maka tipid po:) salamat po sa time. Anong week sa December? If gusto nyo talaga ng sure na sure na snow ng December, Hokkaido is the destination for you. Meron din sa mountainous regions like Nagano. Hi Sir. Ask ko lang po..kung need pa ba iphotocopy ng passbook ng bnk acct. including bank cert. Kahit bank cert lang po ay ayos na. How can I extend my visa in japan.thank u.